Proper nutrition is an essential part of helping your child grow up with good health. Brain foods, known to help boost brain function and provide for healthy brain development, can be a very important addition to helping your child maintain proper health as they get older. Let’s explore some of the brain foods you can provide your child. Avocados– Though avocados may have been an acquired taste for you, introducing it to your child at a younger age can help make them love it and can also provide a ton of benefits for healthy brain function. Fiber is also found in avocados, which helps keep the digestive system moving. Children are prone to constipation, so this can definitely help. Avocados also contain vitamin K, E, B, and C.
Blueberries– Blueberries are a great snack choice to help healthy brain development. 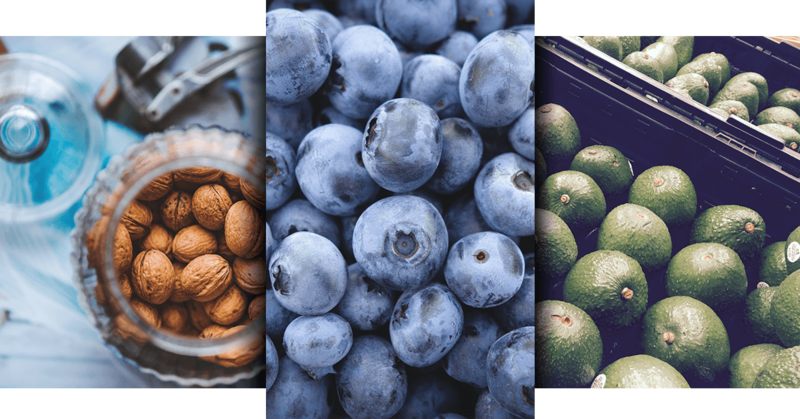 Not only can blueberries help substitute the desire to have sweet and sugary snacks, but they’re known as “brainberres” thanks to Steven Pratt, MD. Blueberries help the brain be protected from stress, but can also aide in reducing effects of mental health as your child gets older. Nuts– Nuts serve as a great snack to pack for your child’s lunch. They are also made up of healthy fats, which are essential to not only heart health, but proper growth and development. 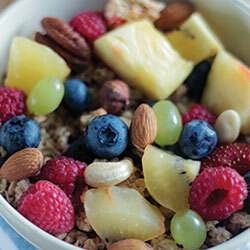 Nuts can also provide a bit of a burst of energy, perfect for a midday snack. Black Beans– Another easy snack to make as a parents, black beans are a great source of protein, fiber and calcium. They provide your child with the nutrition necessary to help fight against heart disease, as well as high cholesterol. 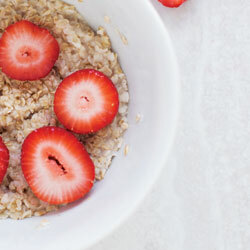 Oatmeal– Not only is oatmeal a quick and easy breakfast for you to make your child, but it helps your concentrate. Oatmeal is also digested slowly, which helps extend a steady stream of energy for your child throughout their school day.